This conversation circles around selfies, social media, breast cancer, essential oils, the impact of the choices we make and much more. Today’s Trivia: How many selfies are posted each day? Fabianna Marie of FabulouslyFighting.com was diagnosed at the age of 27 with Breast Cancer. She's endured over 150 rounds of Chemotherapy, radiation, and a deteriorating kidney. She fights every day and has chosen to share her journey with the world through blogging and social media in hopes of ... See More inspiring anyone facing adversity. She launched her first book in November of 2016. She has been a guest speaker at national cancer charity and fundraising events as well as part of a national ad campaign for the Avon Walk for Breast Cancer. She is also an award winning photographer, best selling author and writer and is a former model and entertainer. Along with her degree in Liberal Arts and Business she also holds certifications in Raw, Vegetarian and Vegan Cuisine, and is a Certified Holistic Nutritionist and aromatherapy Practitioner. Her company, Fabulously Fighting LLC, is dedicated to helping others live through adversity through love, laughter and honesty. 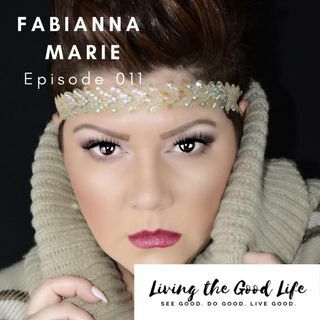 Fabianna’s life changed when she figured out that she had the choice on how to live and move through her life. It wasn’t an overnight realization. Over time she realized creating her ideal life was going to manifest through the choices she makes. Her life is not sunshine and rainbows, living with metastatic breast cancer, but she gets to choose how she responds to the hard times. The name of her business came from someone describing how she viewed Fabianna’s journey. Her first book, Cancer is What I Have, Not Who I Am is a compilation of her blog posts about what she’s been going through or other life stories. In the beginning, everyone had their opinions about how she should treat her cancer (and also Lupus that she has been diagnosed with.) She realized she wanted to control how she responded to her diagnoses. When she realized that she could do her homework and learned how she could change things on her end, she realized that trusing her gut gave her power. Dr’s were giving her 5 years to live (she’s on 13 years as of today) she decided that she was going to take those years (vs being “given” them.) She butted heads with her doctors, bringing in research about different therapies, diets, etc. Fabianna’s daughter, Mackenzie, was one year old when she was diagnosed. She believes that if she had not taken control, she may have only lived the 5 years expected and would have missed out on so much of Mackenzie’s life. Photography served as an outlet and turned into a career. Now, she has achieved the level of Naturopathic Practitioner and is pursuing certification as a naturpathic doctor. She is excited to use the knowledge that she gained in her fight against cancer to serve clients in her practice. One of the areas that she works deeply with clients on is essential oils. Fabianna says making choices for yourself means that you are authentically living. Every challenge becomes an opportunity. She says Living a Good Life means living authentically. Trivia Answer: There are 93 million selfies each day, which would represent 2,583,333 rolls of film. According to Pamela Rutledge, director of the nonprofit Media Psychology Research Center. She says “Posting high points in life increases confidence, empowerment, gratitude, and appreciation through mindfulness, and the ability to visualize desired outcomes.” So that’s good news. Also, if you are working your business in the social media realm, you’ll be glad to know that 80% of Instagram users follow at least one business AND over 200 million of them visit a business Instagram profile every day. Just to balance things out… one more interesting statistic. Did you know, in the year 2015 there were more deaths from taking selfies than there were from shark attacks?